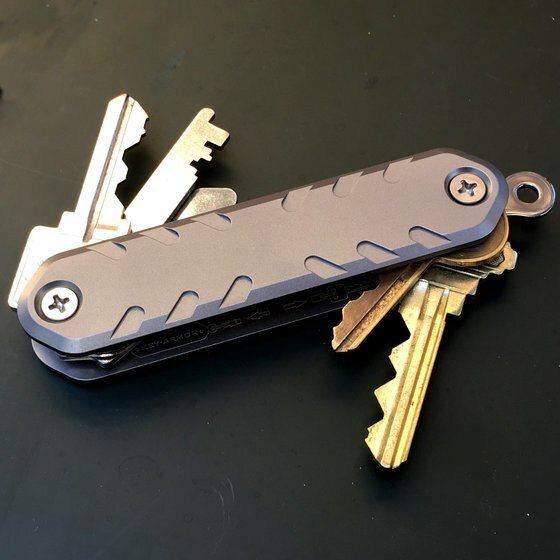 KEY-ARMOR™ Pocket Key Organizer | Superior Titanium Products, Inc.
Take control of your keys today with the KEY-ARMOR. With its tough lightweight titanium construction and proven locking system, our patented KEY-ARMOR™ keeps your keys quiet, organized, and ready for both daily life and any adventure you may embark on. ➪ Stop loose keys poking your leg and eliminate the bulk! ➪ Easy assembly - no custom keys or key modifications needed. Compactly carry from 1 to 12 keys with included hardware (or hold more with longer screws). The KEY-ARMOR™ Minimalist Key Organizer fits all standard keys without modification. The eye-catching precision machined grip gives the KEY-ARMOR™ serve as a tactile guide to help you quickly locate the correct key, even in total darkness. The average person will use their keys almost 2,000 times per year! With this in mind we spent a massive number of hours designing, prototyping, and perfecting every detail to make it as quick, convenient and enjoyable as possible. As with any product there are lots of production and material short cuts we could have taken, but we we wanted to deliver the best and built something that people can use, enjoy and appreciate every single day versus being most happy about the price tag. 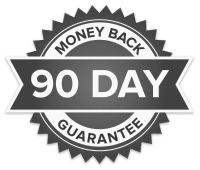 Backed by our 90-day 100% satisfaction guarantee, we are confident you will love using the KEY-ARMOR or your money back! * If using included stainless steel connector link to attach to a key chain, then that counts as one key. Additionally other items like a bottle opener that are equivalent in thickness to a key will also count as a key. 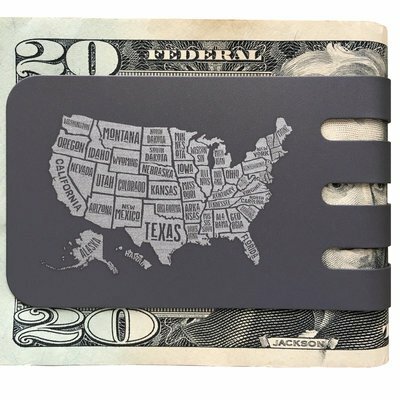 I have been looking for a high quality product that would allow me to organize and compact my keys for a very long time. As soon as I discovered the Key-Armor/Key Organizer, I immediately purchased three pieces( one for each member of my family) The design is slick and stylish. When we received the product we were all impressed by the quality of the packaging and the very easy to follow assembly instructions, and also it comes with a step- by step assembly video tutorial that is also very explanatory and useful. We’ve been using this product daily. My daughter is using the tiny set- up, using less keys and I am using mine at maximum capacity. We are all happy about the conception and design adapting perfectly to all of our needs. When you are looking for a key you won’t even need a light ,you can actually touch it, feel it and then rotate it. In a second you will have the right key. I highly recommend this product to anyone. You shouldn't hesitate to purchase this product if you've had any experience with STP. I own a Viper money clip and it's been nothing short of great. I expected the KEY-ARMOR product to be produced with a similar commitment to quality and I was not disappointed. Every detail has been accounted for with respect to design and functionality. This is a high-quality item that easily exceeded my already high expectations. Buy it, you won't regret doing so. Compared to other key organizers out there this one is definitely superior to all! I love the key armor it pairs well with my viper. Look forward to more new products. This is a beautifully engineered product that is well worth the price. Key Organizer to keep for a lifetime! After several attempts to find a quality key organizer, I was happy to find this product. 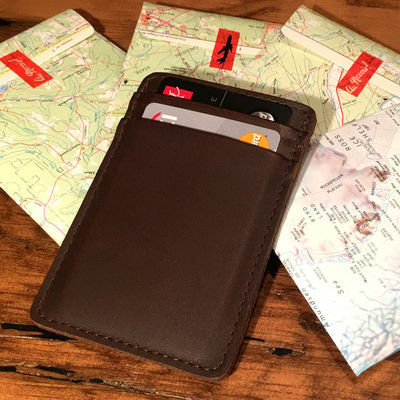 It looks great, is very high quality and prevents the keys from tearing holes in my front pocket and stabbing me in the leg. I was very happy to find that Superior Titanium is located in Canada. I was able to support a Canadian company, with a locally made in USA product. This is much more preferable than buying something made in China. This key organizer is top notch! Very easy to set up and quite nice. I have a competitors product & definitely prefer the Superior Titanium for its sleek design, simplistic function, and tough finish. My only complaint is lack of a pocket clip. A great photo from one of our customers - thanks Lucas! TOUGH, LIGHTWEIGHT TITANIUM CONSTRUCTION - ONLY THE BEST!! Compact, Organized and Quiet - stop loose keys poking your pockets! Precision machined and finished titanium plates - built for a lifetime of enjoyment. Where do I put my car keys? Car and other vehicle keys can be externally attached using a separable key ring. We include a link you can include during assembly for this purpose. What about torx screws instead of Phillips? We love the look of torx and the Key-Armor looks really pro with them, however, pretty much everyone has a Phillips screw driver and they are easy to find worldwide. The Phillips screw profile also centers the driver making it nice to use. In a pinch you can even use a slot driver or other items to tighten Phillips screws. For these reasons we feel Phillips is best suited for the standard hardware. 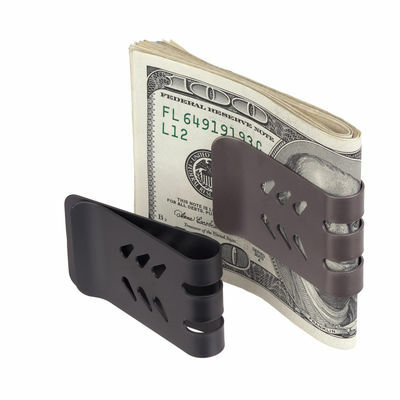 THE VIPER™ TITANIUM MONEY CLIP - MASSIVE 60 BILL CAPACITY!